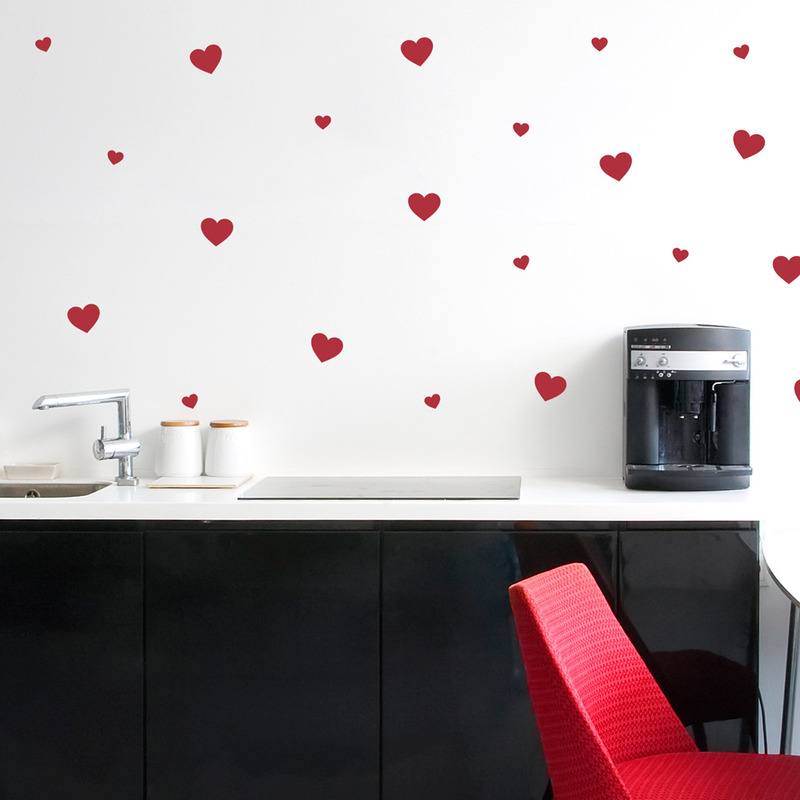 These Heart decals will add love anywhere you install them. Each set comes with 80 hearts [40 count of 1" hearts and 40 count 2" hearts] and are easy to install. Just peel and stick! Decal has a matte finish to reduce light reflections and look more natural. Easily removable without any damage to the surface. Designs are made of the highest quality interior safe wall vinyl. All of our vinyl wall decals are produced in the U.S.A.
Easy to Install. Comes with detailed instructions, a free squeege and test decal. Colors in our previewer and example images are a computer rendition and may not be 100% accurate. We advise you to view our color chart to see an actual picture of the color for a better representation. © 2010-2019 Wallums Wall Decor.